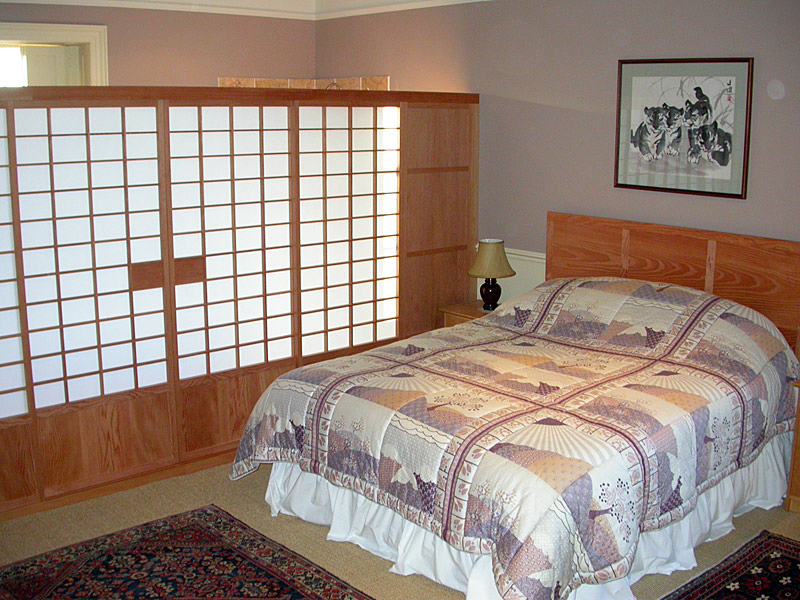 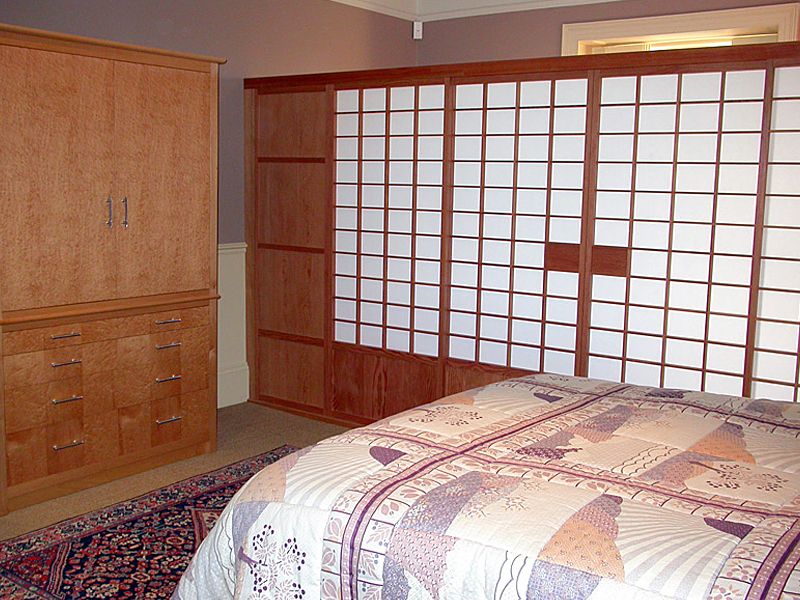 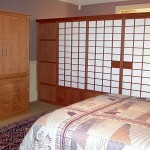 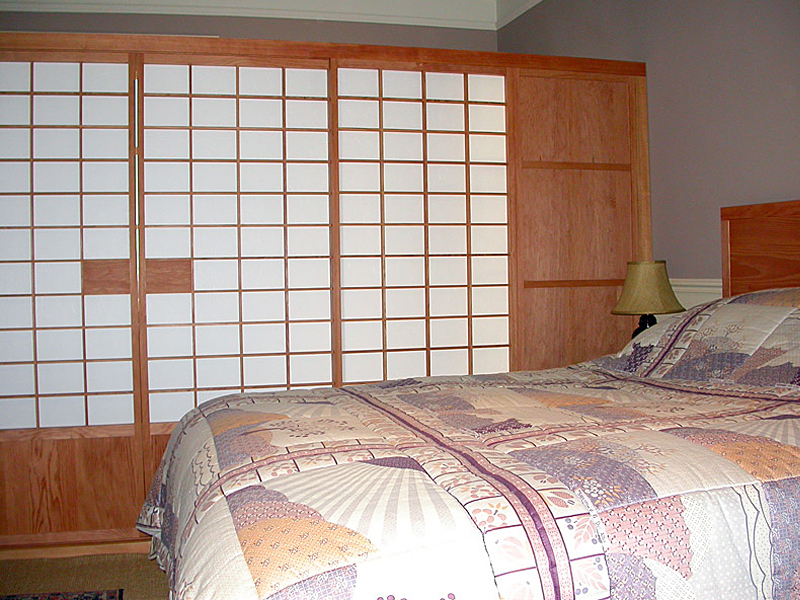 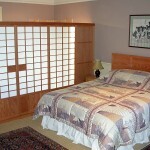 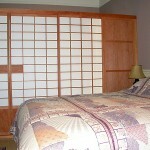 Shoji screen room divider, bedside cabinets and headboard to match, all made from Douglas Fir with authentic Japanese Shoji paper on the sliding screens. 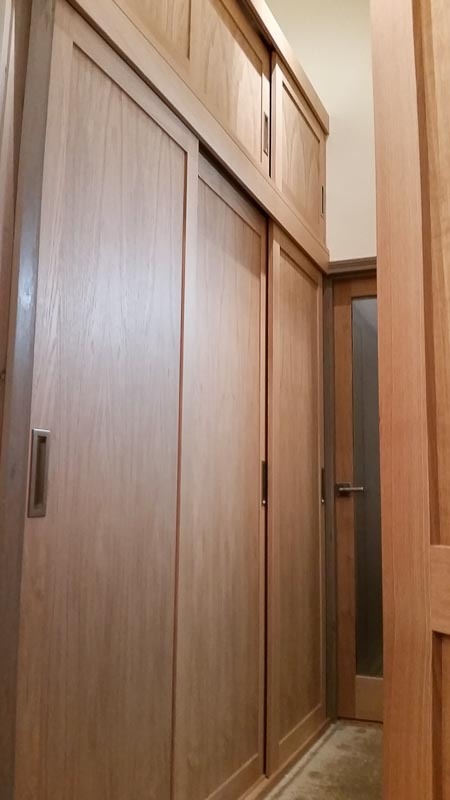 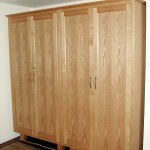 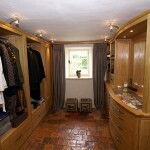 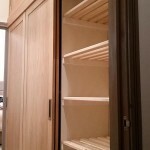 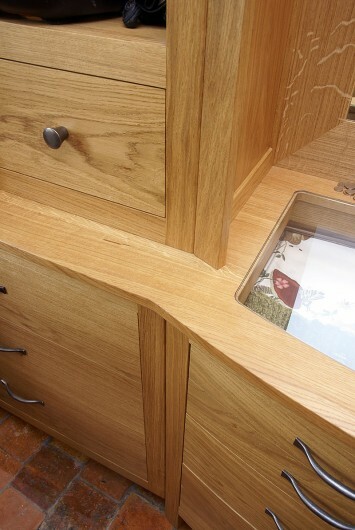 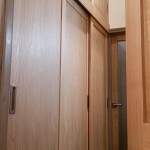 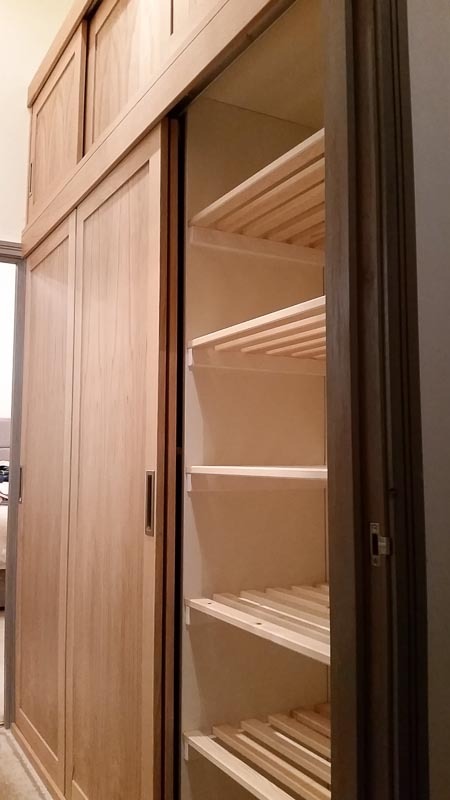 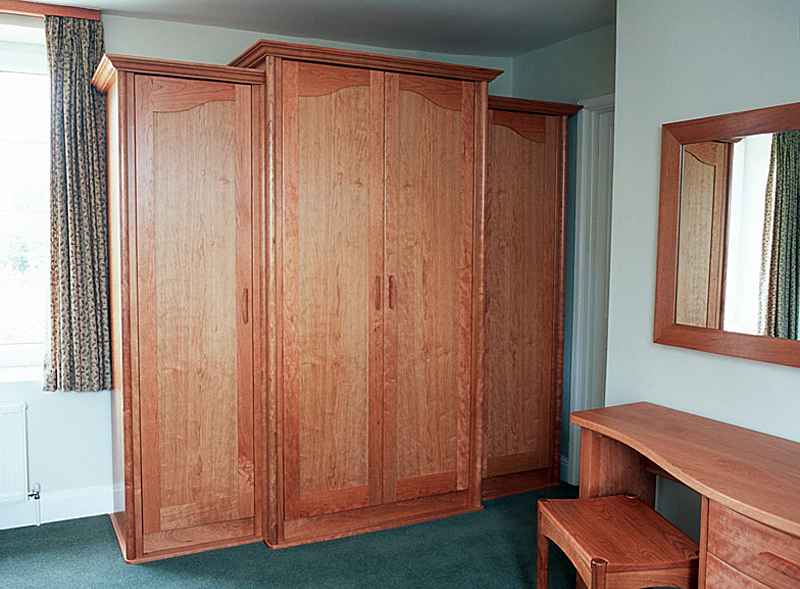 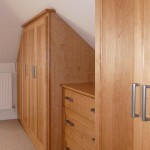 We often get asked to make an oak wardrobe, oak being a very popular choice of timber. 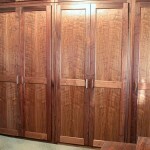 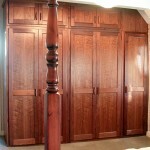 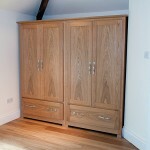 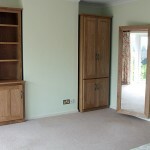 Here are a few Oak wardrobes and in a similar style. 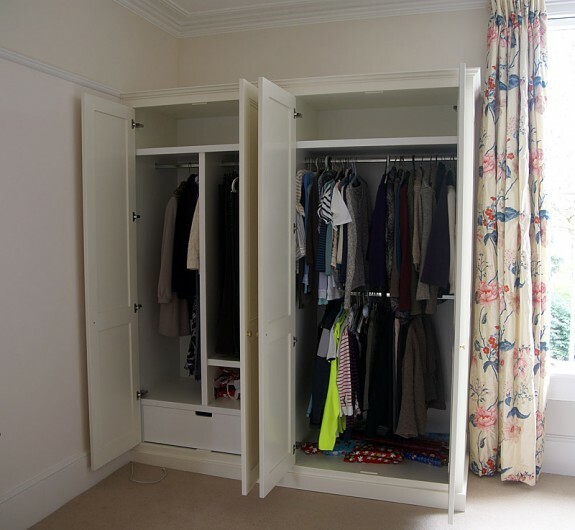 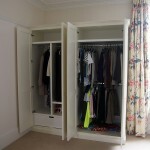 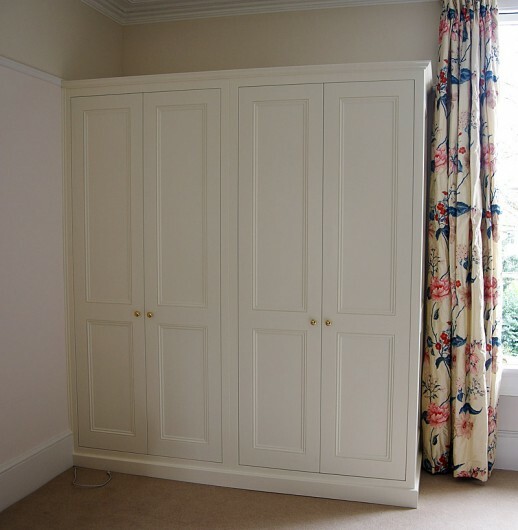 Wardrobes being such large items of furniture, we make them so that they can be taken apart for ease of delivery and installation and this also has the benefit of making them easy to move in the future. 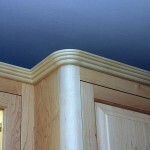 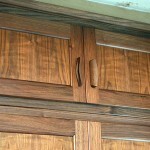 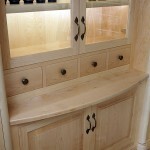 Each project is designed especially for a particular situation, sometimes as freestanding pieces and sometimes built in. 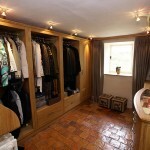 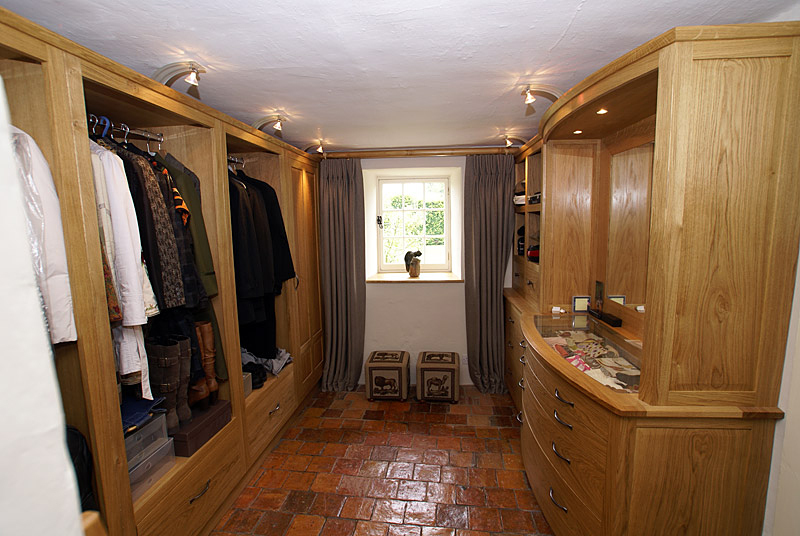 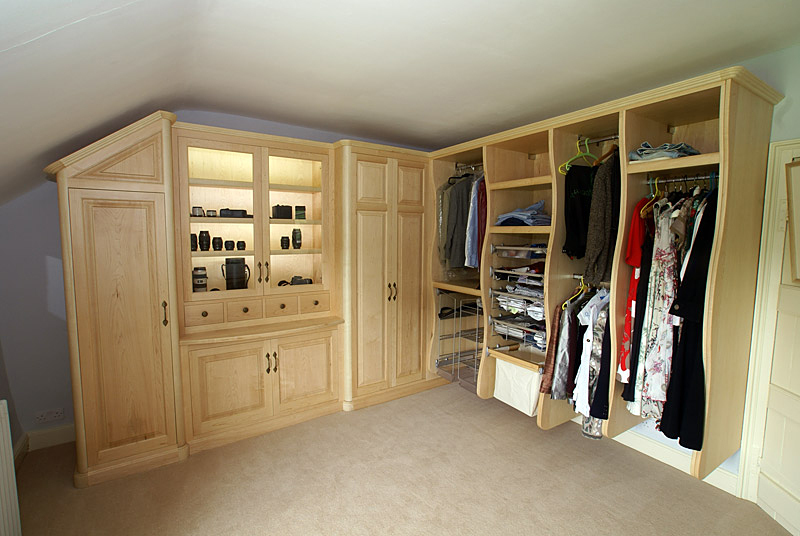 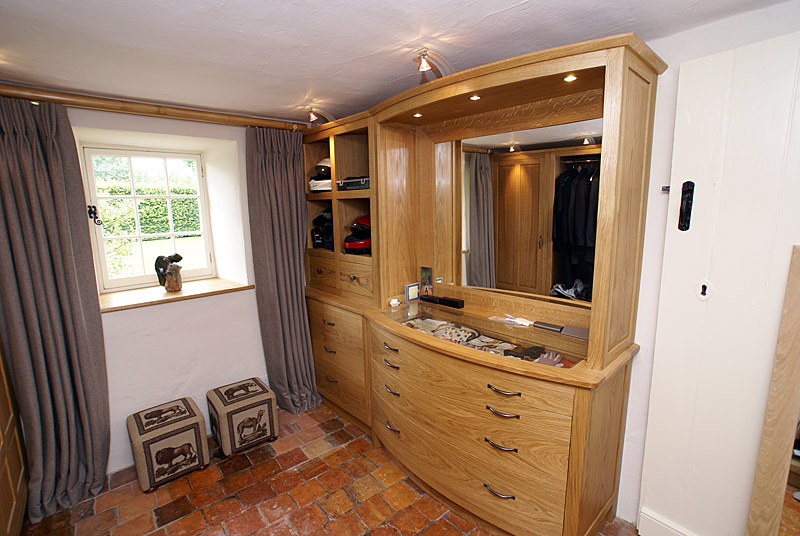 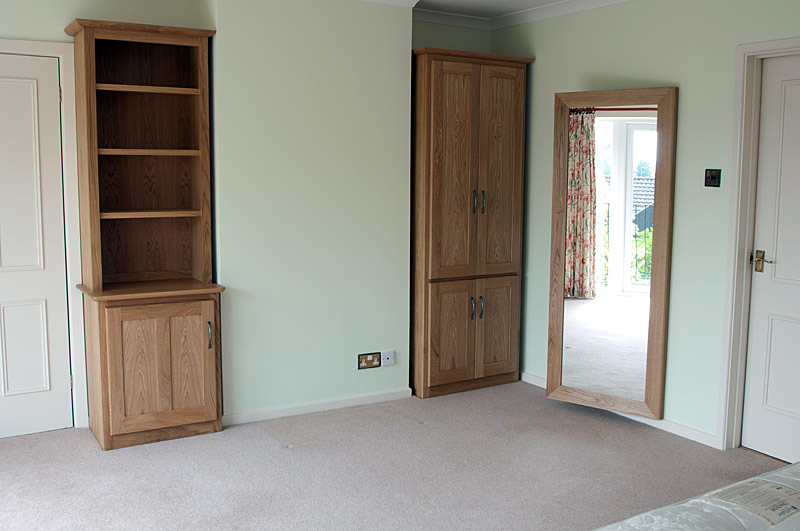 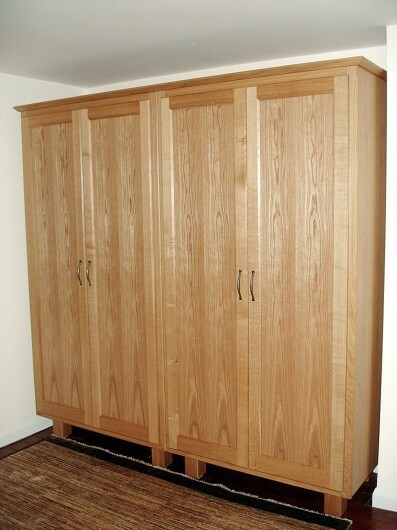 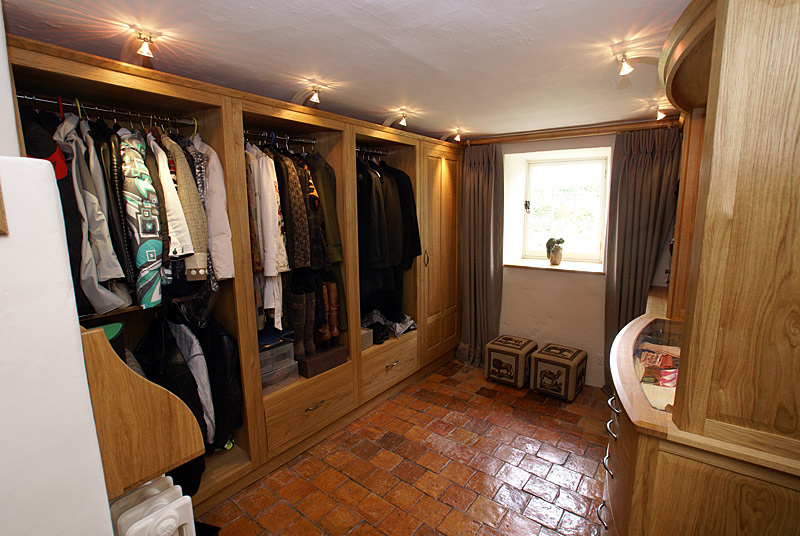 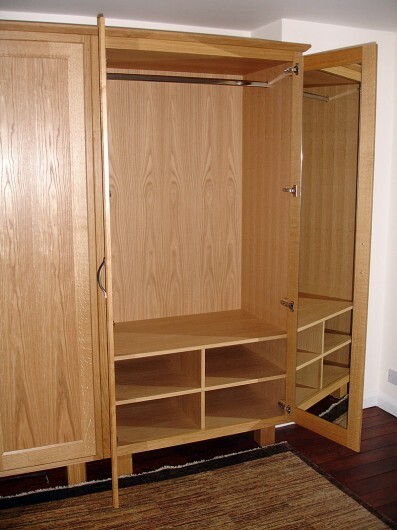 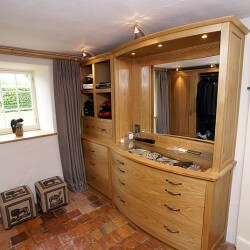 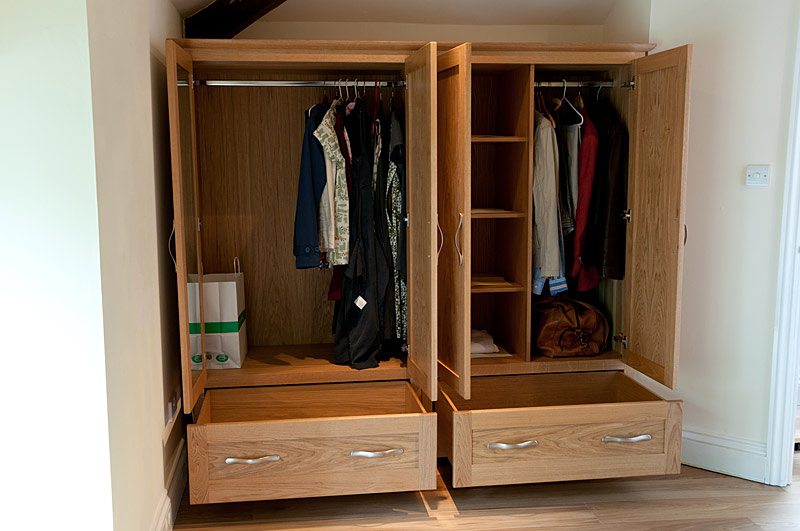 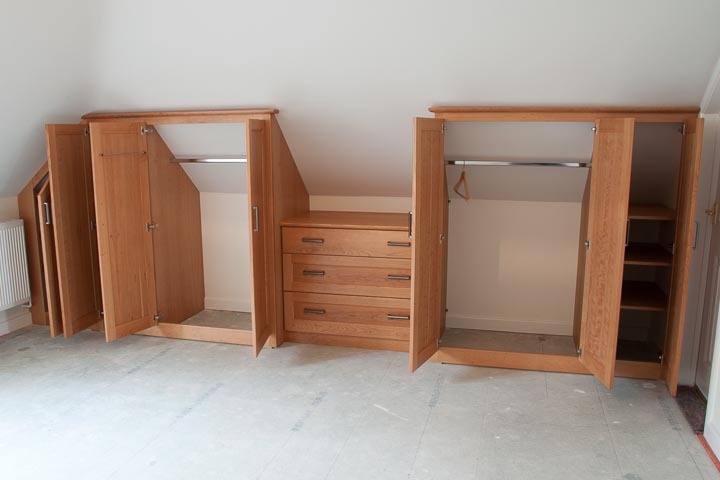 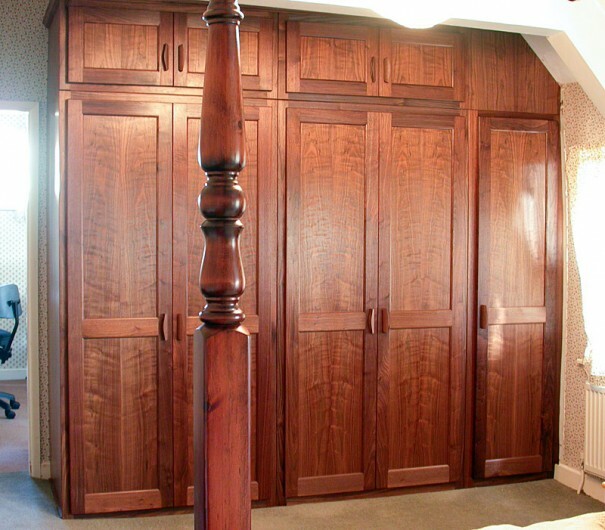 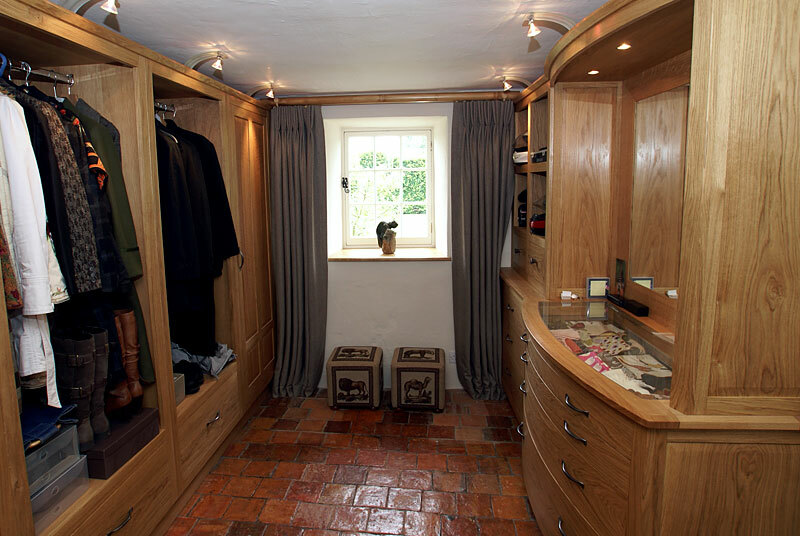 Cloakroom furniture in oak with large open cabinets for hanging coats and jackets. 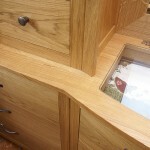 There is a glass surface to display the contents of the top drawer and cubby holes for crash helmets! 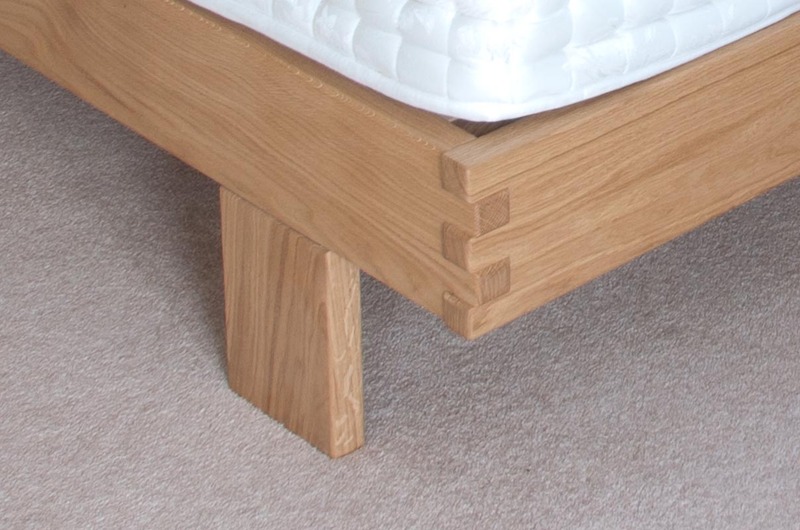 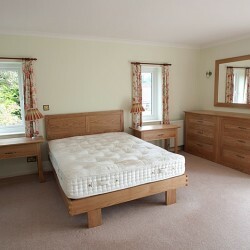 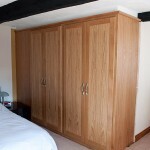 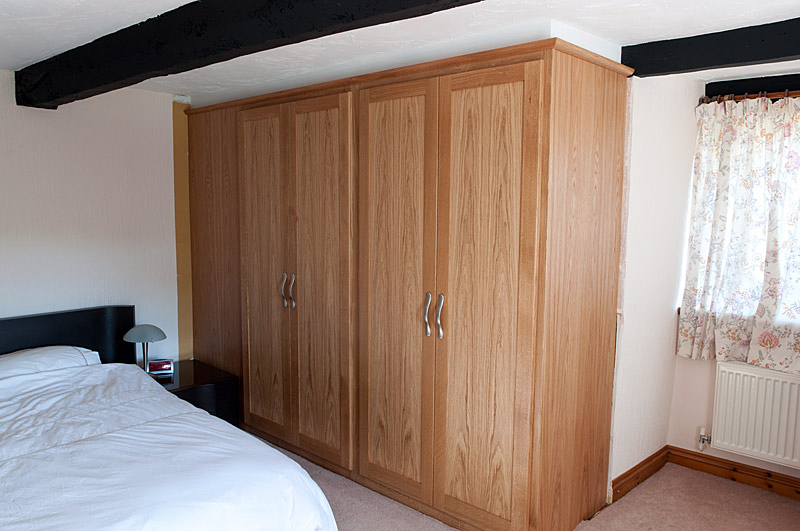 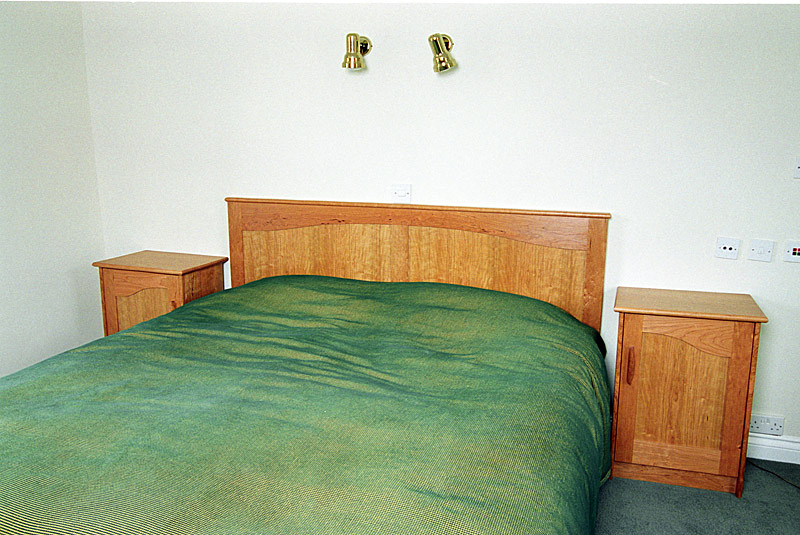 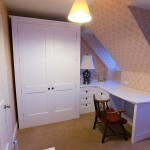 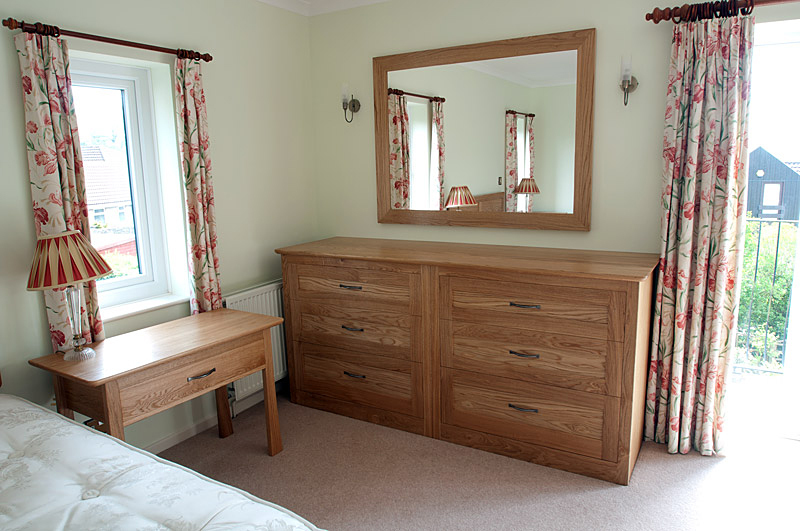 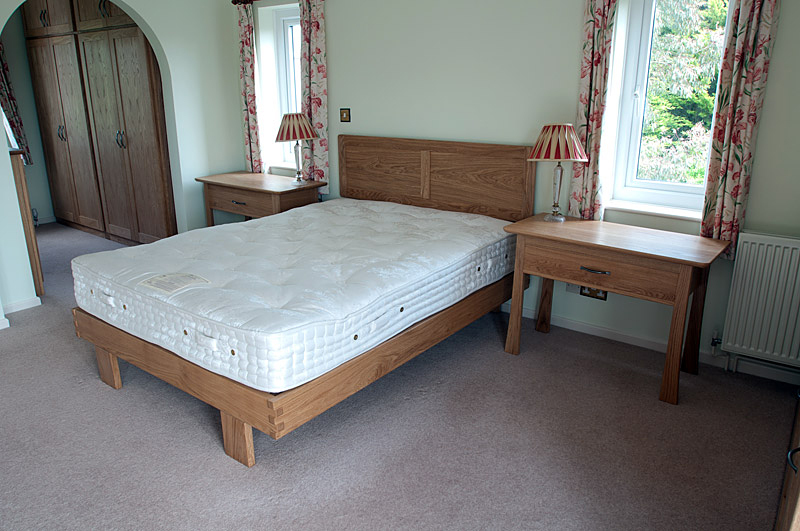 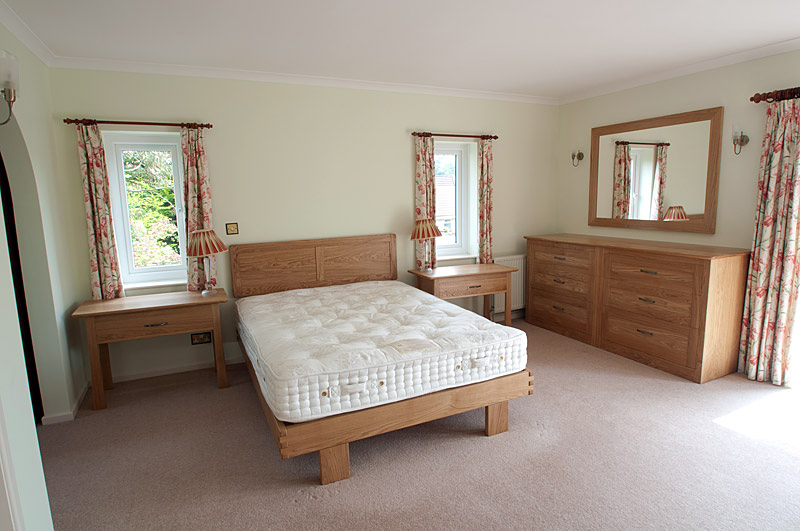 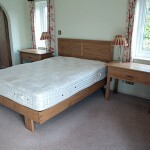 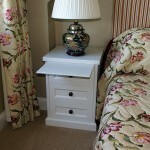 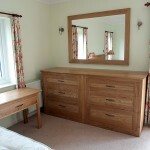 Handmade oak bedroom furniture including bed, headboard, bedside cabinets and built-in wardrobes. 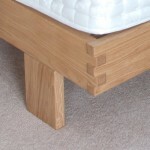 The simple bed has a slatted base and the attractive knuckle joints make it easy to assemble. 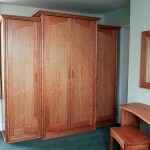 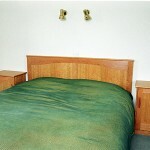 Maple bedroom furniture. 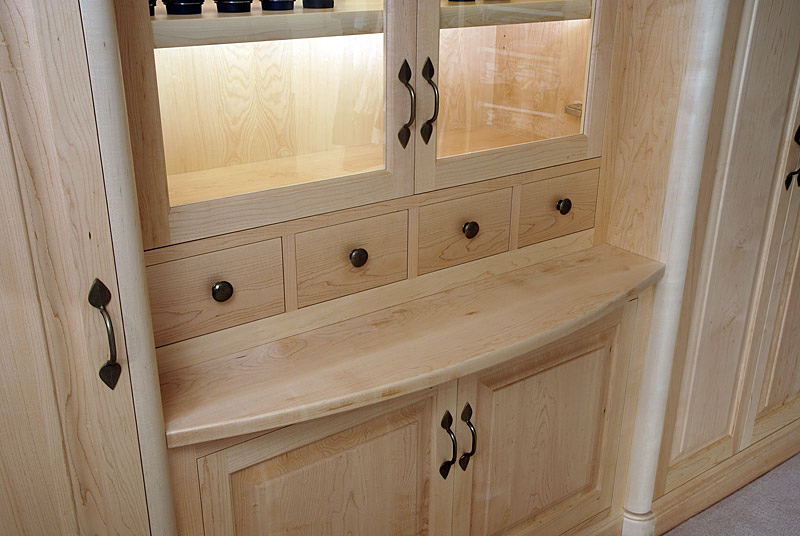 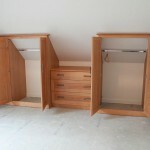 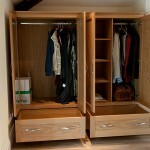 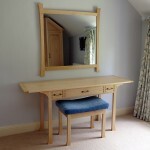 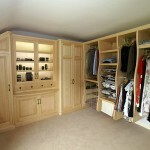 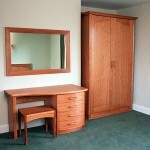 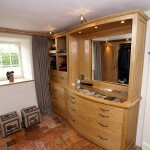 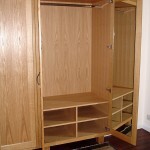 Fitted dressing room furniture in Maple with display cabinets for camera equipment. 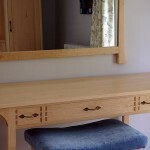 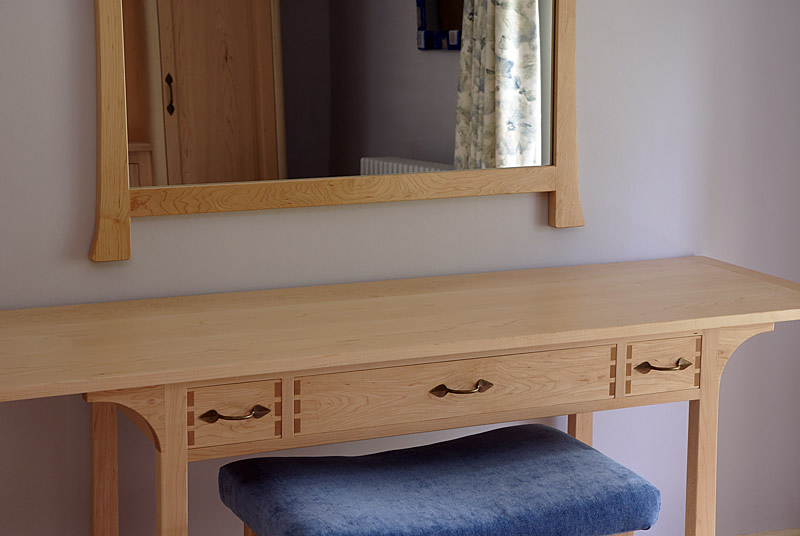 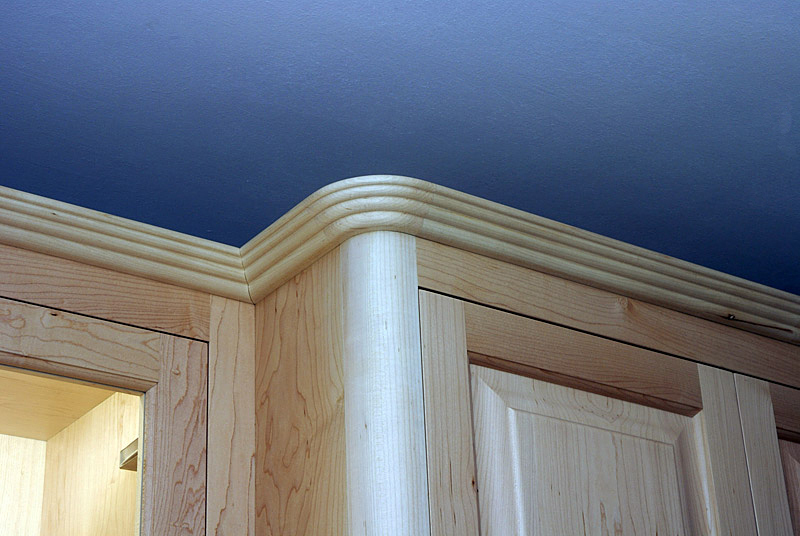 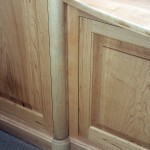 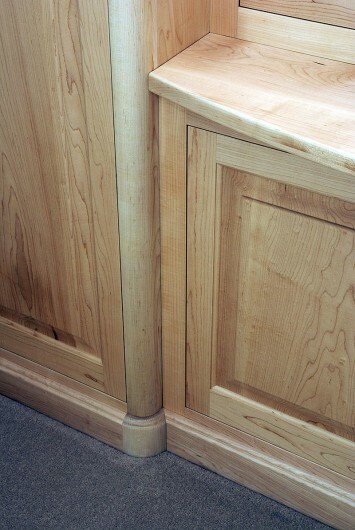 The dressing table has exposed through dovetails and bottoms of Cedar of Lebanon. 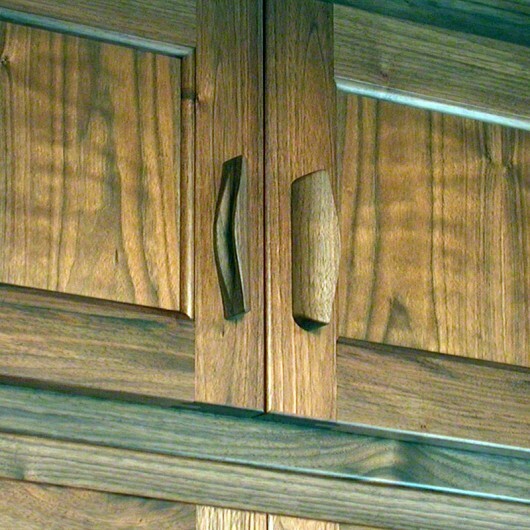 The handles are by Ged Kennett. 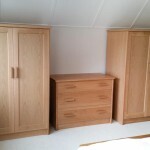 A couple of different projects here in American cherry, a lovely timber for the bedroom. 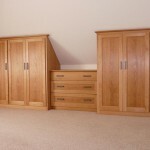 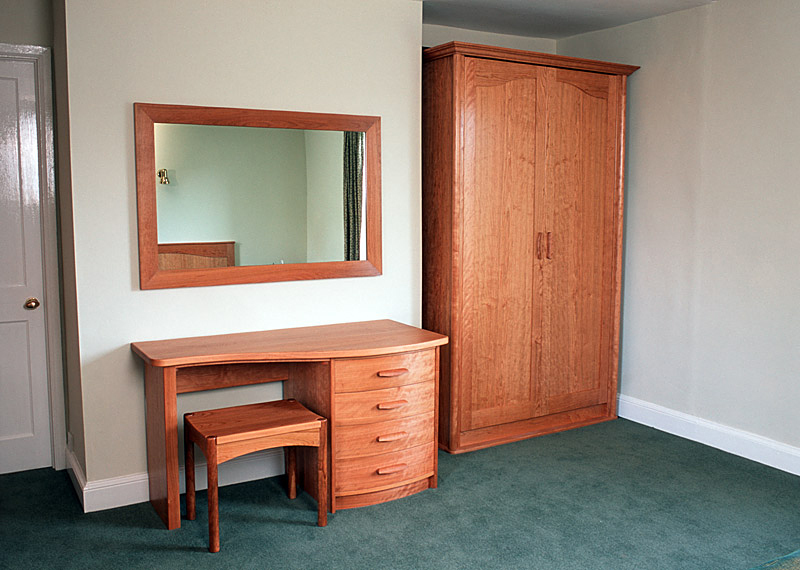 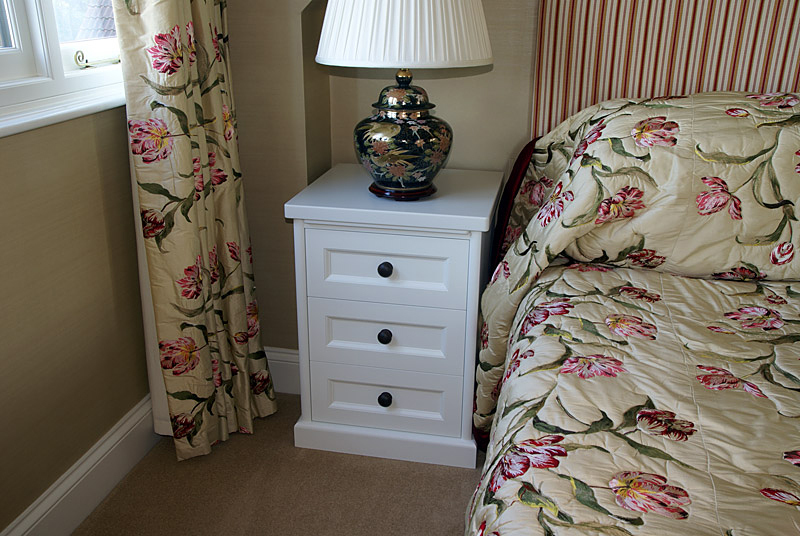 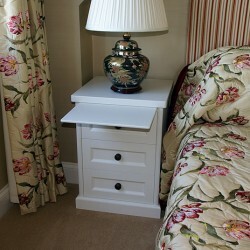 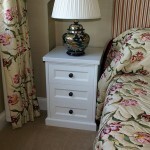 Cherry bedroom furniture is a popular choice with it’s warm rich colour and delicate grain. 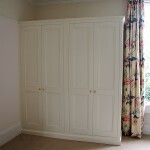 Here we made a whole new frontage to some existing wardrobes. 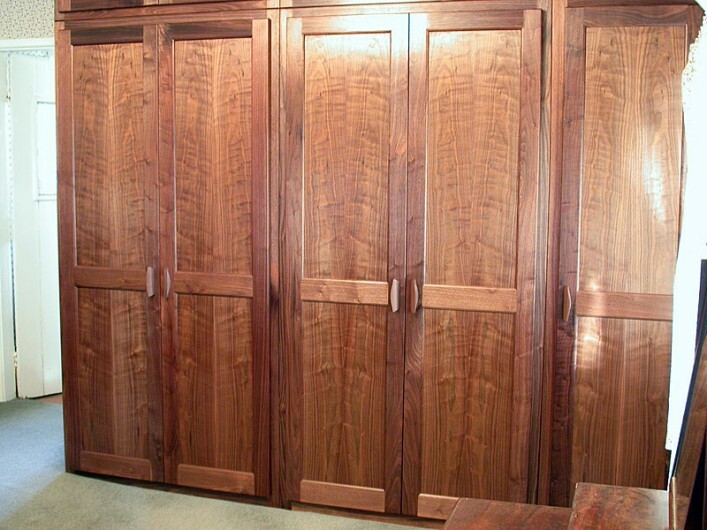 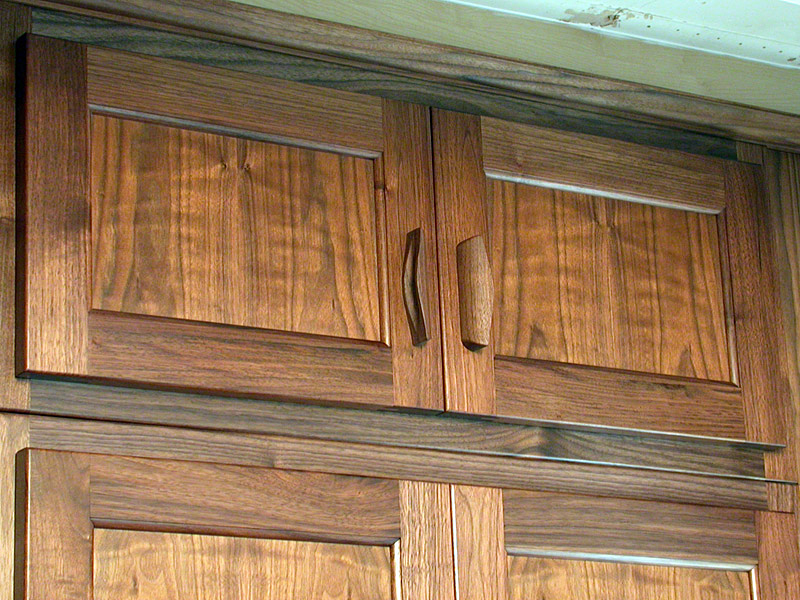 The timber is American Black Walnut finishes with Danish oil. 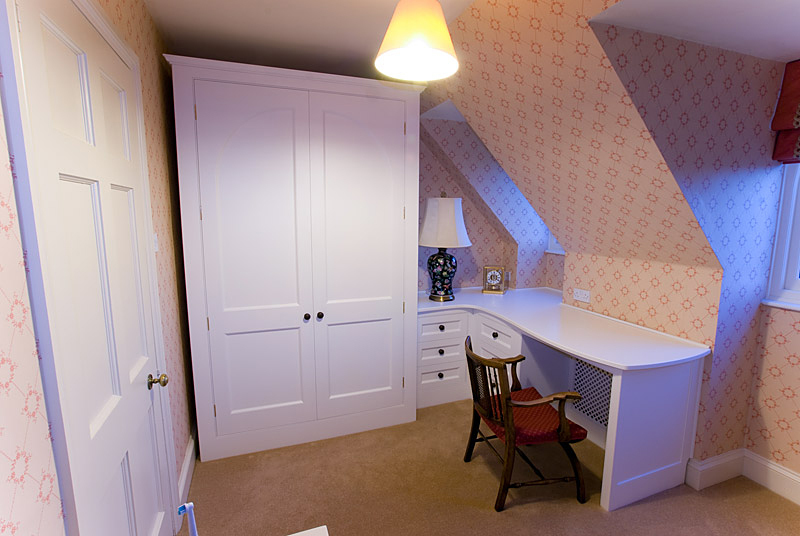 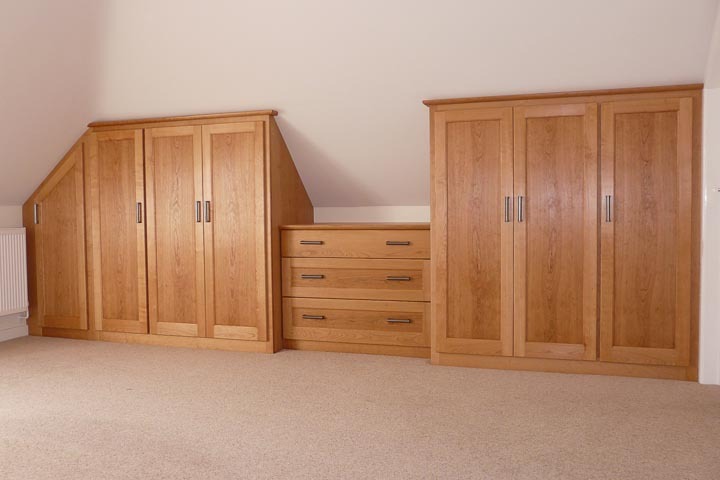 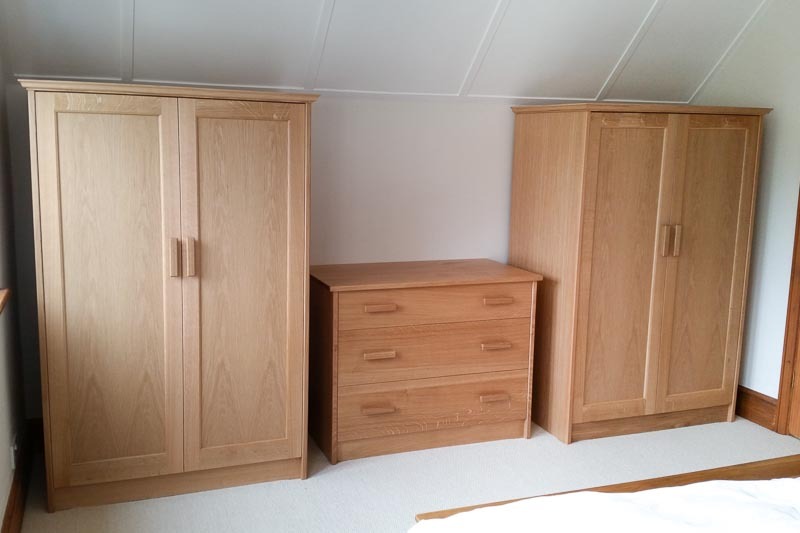 We design and make fitted and free-standing bespoke bedroom furniture, including wardrobes and chests of drawers, to suit any home and in any style. 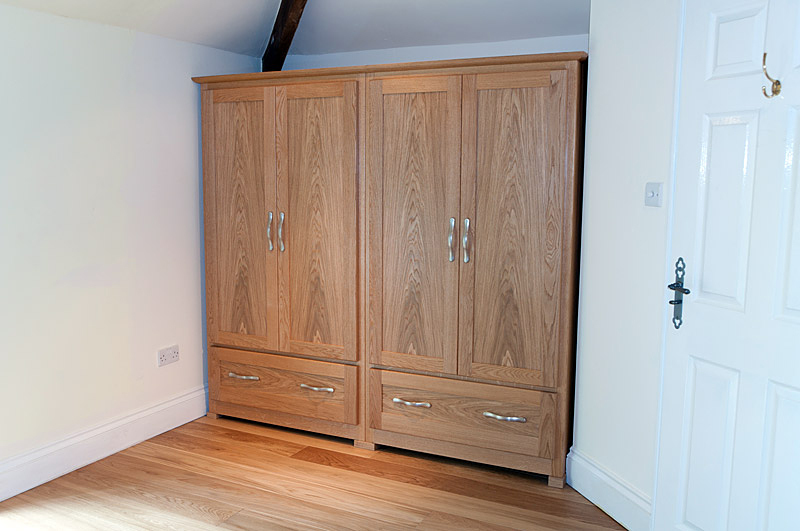 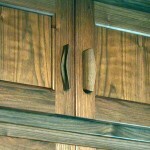 Choose from the great variety of timber available, including Cherry, Maple, Oak, Walnut and Ash. 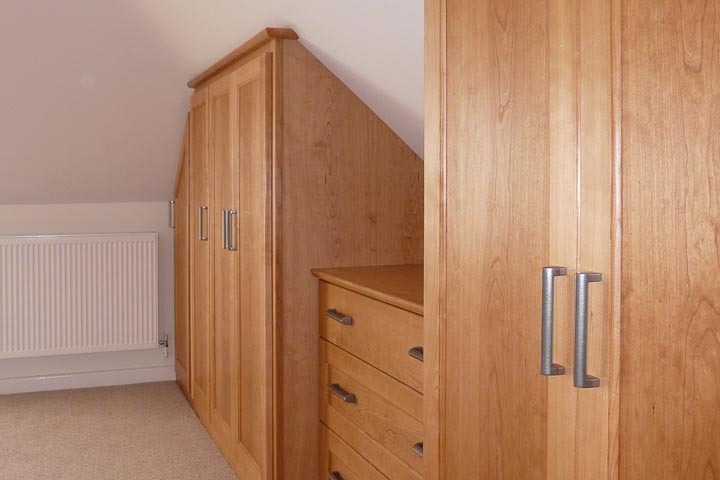 We offer a full design service or we can make individual handmade furniture to suit your existing décor: fitted wardrobes, beds, bedside cabinets and dressing tables.